“Oh, that fool coachman has set us down at the wrong place,” Diana exclaimed. Vivien felt sorry for Diana’s new driver. He had only been brought up from the country just the week before and had little experience in navigating London’s congested street. Yet he had much to recommend him, in her estimation. His careful handling of the reins was a welcome respite from the reckless driving of Northam’s previous coachman who used to tool the massive four-in-hand coach at breakneck speed. After years of terrorizing the streets of London, the old retainer had finally given his notice to quit. “Old Bill” was Princess Charlotte’s uncle, the Duke of Clarence. He was the man George Washington once plotted to kidnap while the prince was serving in the British Navy during the War of Independence. Happy July 4th! 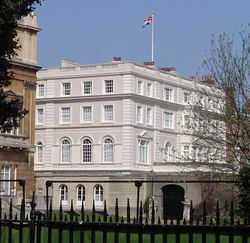 When Diana and Vivien visited the Duke’s addition to St. James Palace in 1827 it had just been finished. There was much to admire in the Palladian design of the noted architect John Nash, who was also responsible for Park Crescent (used in abundance to display the finest in Regency architecture in various Jane Austen films) and part of Buckingham Palace. William IV was a frugal man whose careful expenditures are credited to Queen Adelaide. 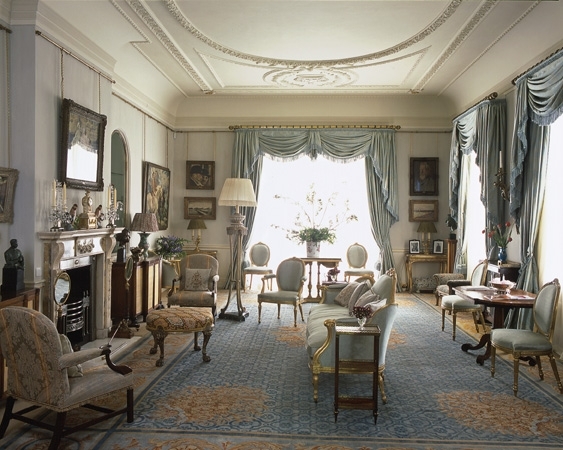 They remained in Clarence House even after he became King, despite the availability of Buckingham Palace.